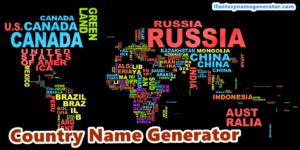 If you looking on the internet a Nation and Country name generator for real and fantasy name so, you come to a right place now a day to receive the request to add a country name generator so my team work on this request and today done with random real or Fictional names perfect combination to find out. The most important thing is a language problem because a lot of countries used local language and understanding problem face out to translate a name in your language but my team many country languages covers it I hope its best nation or country vise name generate for you. Some names will look like existing country names, others will be different or obscure, and some will look more like language-specific names. Why people used a nation or country first name and also the last name because its good impression show to love behind the self its most important thing every business, government project, political party, international dealing, books, story, diplomatic procedures, and military on the base of country name to show up people the benchmark. 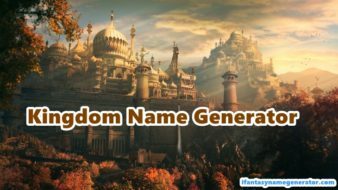 So, randomize all name select with different languages and convert two section is first real names and second is fantasy country names. you can also check out star wars name generator. Here is the list both of real and fantasy names of country and nation, my team fulfill the request and added a country name generator I hope you like it and must give me a feedback to more improve the quality of names and issues. if any idea or names think in your mind to share with my team and work on your ideas and make a family. Best Of Luck!